Ok, bells might not be jingling any more but we don't wear our polish according to the season, right? In terms of formula, they all applied really nicely. Out of This World and Daddy's Girl were on the sheer side, requiring respectively 2 and 3 coats while the others 3 were almost one coaters. My absolute favorites? Sugar Sugar and Out of This World! How do these polishes wear as far as chipping? @Debbi@SheAccessorizesWell I really couldn't say for now as I've only worn them for swatching purposes, sorry! The green one looks nice. I love Sinful Colors! I have all of these I think...but I got them before the holidays? 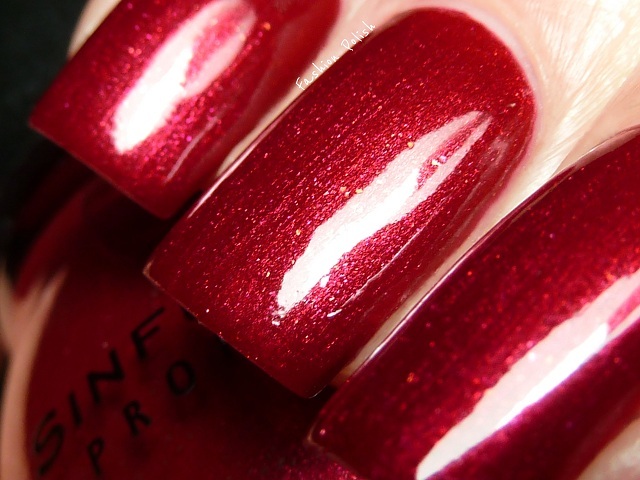 I didn't even know these were holiday polishes! I have several of these and the wear time is great, I can get a week sometimes more with no chips! I get great wear out of Sinfuls. And for $1.99 (and they are ALWAYS on sale), they are definitely worth it! Wow, Sugar Sugar and Daddy's Girl are absolutely stunning. So incredible. Will definitely be picking these babies up asap. @Debbie, I normally get about 4 to 5 days wear with Sinful Colors. Every time I see you swatch a collection I've passed up, it always makes me want it, haha! Your swatch of Daddy's Girl is incredible! As a purple-aholic I love Daddy's Girl. I love that SC are so incredible cheap & easy to find, but I don't know how I feel about them re-promoting shades. Daddy's Girl (at least)has been around for a while! Still, they're beautiful. I have them all and surprisingly, I get just as good out of the wear on these as I do high end brands. Awesome photos, BTW! Omg Daddy's Girl is gorgeous!!! Amazing colors! I have to have daddy's girl!! I can't believe that you pay 1,99$ for them !!!! Thank you so much for posting these gorgeous swatches. I never heard about this brand and I need to find out if these polishes are sold in Germany too. Sugar Sugar is amazing but Daddy´s Girl and Last Chance are very close up. There is just something about your pictures that makes me want everything you swatch!!! Amazing! 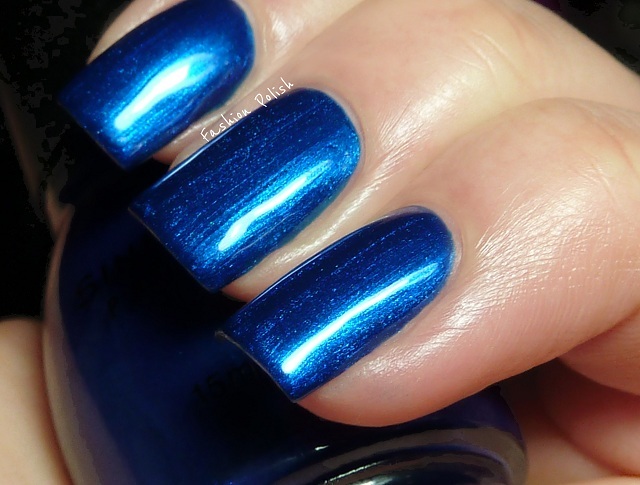 Do you have any idea what the comparisons are between Midnight Blue and Opi's Swimsuit...Nailed it? love Sugar Sugar and Out of This World! Your photos are amazing. I don't tend to buy Sinful because the ones I have bought were so watery. These look anything but. 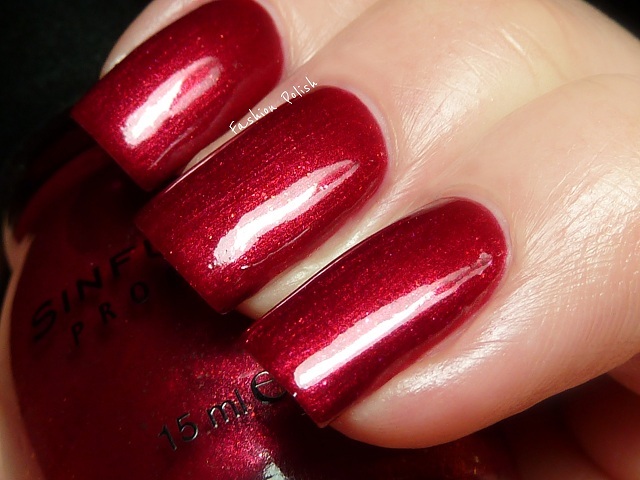 I love Sinful polishes, they wear great and are inexpensive. I wish they would come out with new shades though, instead of re-promoting existing ones every season! 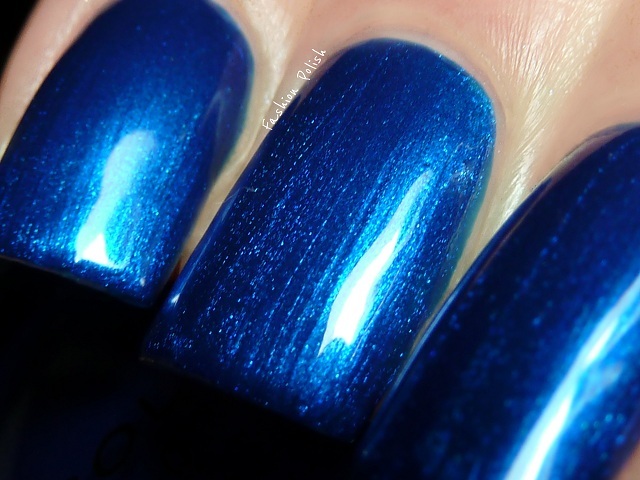 I have three of these from a while back, Midnight Blue, Daddy's Girl, and Last Chance, and I LOVE all three!!! How are Last Chance and Midnight Blue compared to the China Glaze Let it Snow comparisons (Holly-Day and Blue Year's Eve)? High Society is so beautiful. Have you tried it over lighter colors yet? Also, just picked up Daddy's Girl, I love it! Daddy's Girl is really pretty!